is a Polish politician and historian. 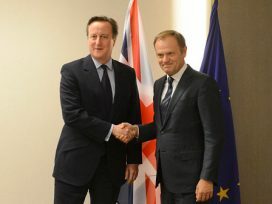 He has been President of the European Council since 1 December 2014. Previously he was prime minister of Poland (2007-2014) and a co-founder and chairman of the Civic Platform (Platforma Obywatelska) party.